I just read this article and thought you might want to give it a read, too. 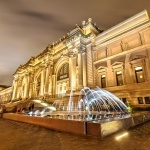 It\'s called How to see the best of the Met museum in a single visit and you can find it here https://www.orbitz.com/blog/2017/03/how-to-see-the-best-of-the-met-museum-in-a-single-visit/. 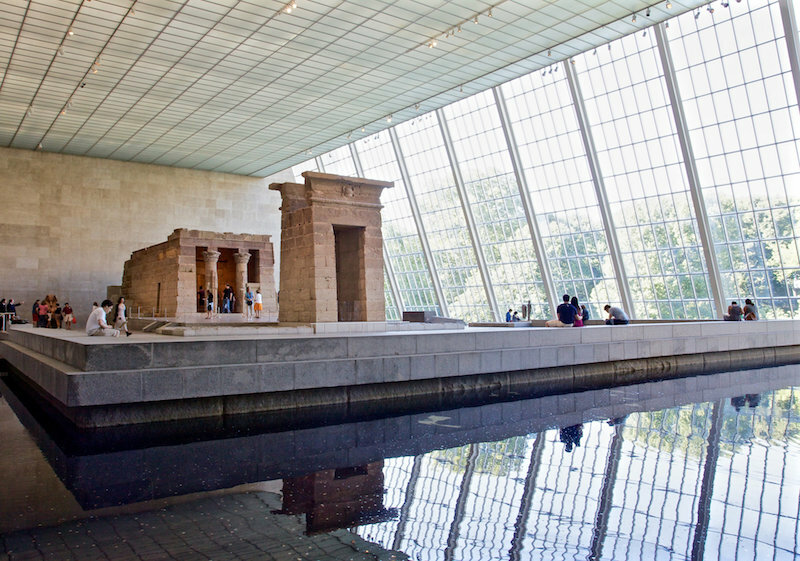 The Metropolitan Museum of Art in New York City holds the honor of being the largest museum in the United States. The Met, as New Yorkers call it, has a permanent collection of more than 2 million precious items from around the world and holds an amazing number of complete original rooms, some of which even retain their original creaky floors. The museum’s vastness can pose a daunting challenge but if it is your first visit or perhaps you suspect it will be your only visit, consider catching just the highlights. Here is a mix of paintings, temples, and a few of the entire intact rooms the museum is famous for, plus a great suggestion on where to have lunch—all doable in one visit. Begin with a free tour that zeros in on a few items and allows you to get to know them intimately. Walking from here to there, a tour also moves you through galleries that you can return to later. This circa 15 B.C. Egyptian temple honoring the goddess Isis was moved here from Egypt and rebuilt within the museum piece by piece. It is contained in an immense gallery with a floor-to-ceiling windows that provide views of Central Park and is fronted by a partial moat. This is the largest collection of 16th- and 17th-century armor in the U.S. It includes examples from Europe, Japan and the Middle East, but the most popular exhibit seems to be the central display of knight-mounted, armor-wearing horse figures. Panoramas are a type of art that is more common in Europe. This one depicts the Versailles estate in France in the round and was painted by American John Vanderlyn. Since Wayzata, Minnesota is as out of the way for most folks as this gallery seems to be out of the way in the museum, finding this Frank Lloyd Wright living room taken from a house in that location can take some doing—but it’s worth the effort. ALSO: Our rewards program is like a work of art. Sign up today and start saving! This marble patio from a Spanish Renaissance castle was exported privately to a home on Park Avenue, then eventually donated to the museum. The largest such collection in the West, this gallery holds bronze icons and stone sculptures—one is 14-feet-high!—and also a 25-foot Chinese mural from the 14th century. Designed as a 17th-century Chinese courtyard garden, this quiet spot invites contemplation and sitting for a short spell. It holds a koi pond and adjoins a reception room with Ming Dynasty furniture. 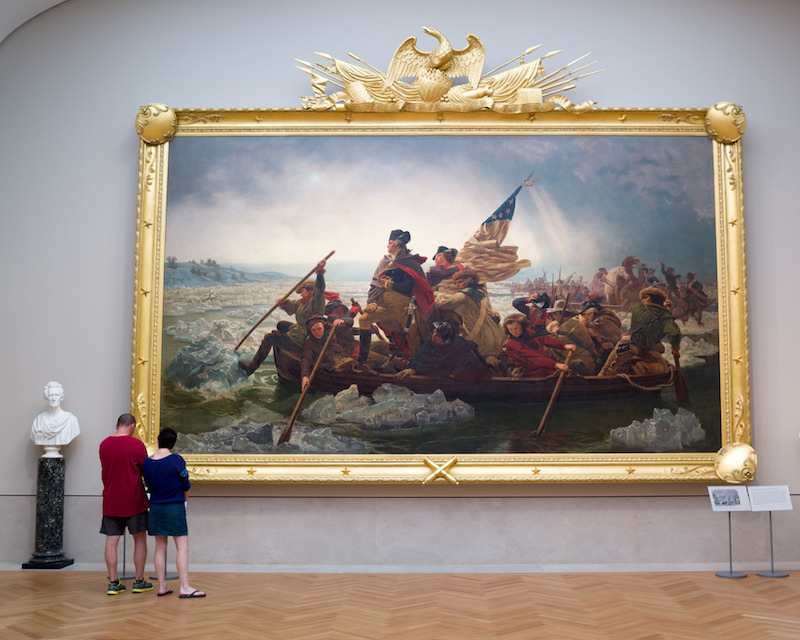 Washington Crossing the Delaware, 2nd floor, Gallery 760. This famous painting by Emanuel Leutze depicts Washington’s battle at Trenton in 1776. The gigantic piece measures an impressive 12½ feet by 21 feet. This charming bronze sculpture by Edgar Degas wears a real cotton skirt and her hair is tied with a satin ribbon. 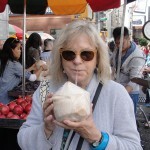 Though dining options include a less expensive cafeteria and a roof-top cafe, this more formal lunch spot looks out to Central Park and permits solo diners to hold a table. The menu offers a few sandwiches and mains, plus a popular fixed-price three-course option. By itself, this gift shop is as large as some small museums. Allow time to peruse the art prints, books, calendars, jewelry and logo souvenirs. Should you visit in December, be sure to add the first-floor Medieval Sculpture Hall (gallery 305) to your itinerary. A gigantic Christmas tree is decorated there with angels from the museum’s collection, and atmospheric music resounds.